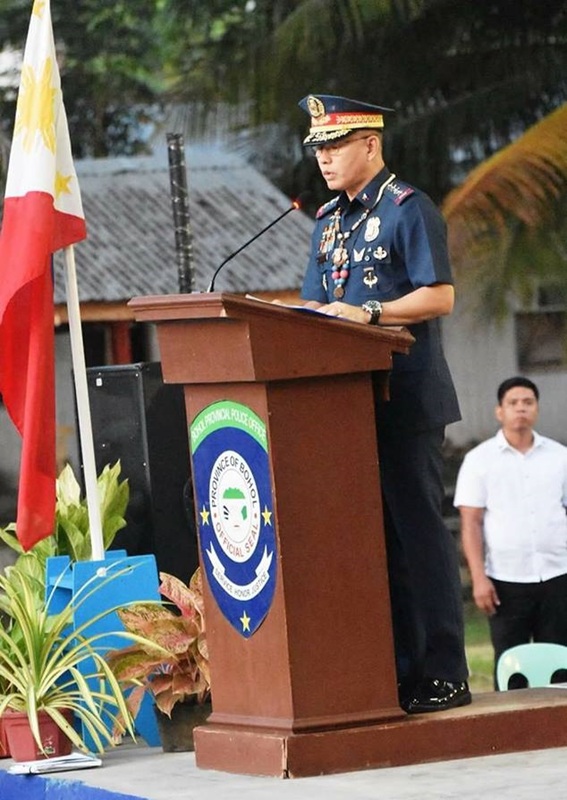 Philippine National Police (PNP) chief General Oscar Albayalde will be in Bohol at an official capacity as the country’s top cop for the second time on Wednesday afternoon to preside over a command conference at the Bohol Police Provincial Office (BPPO) headquarters at Camp Francisco Dagohoy in Tagbilaran City. Albayalde will discuss security preparations for the May 13 midterm polls with Police Regional Office (PRO)-7 director Brig. Gen. Debold Sinas and the provincial directors from Central Visayas provinces, Bohol, Cebu, Siquijor and Negros Oriental. The BPPO’s provincial command and the province’s 48 chiefs of police are also expected to attend the command conference which will start at 2 p.m.
Albayalde who was last in Bohol at an official capacity in June, 2018 is also expected to meet various police units such as those from the Command Group, directorial staff, and local support units in the province. The security preparations in relation to the upcoming elections is considered as a proactive measure against “politically-motivated violence” that might occur in the duration of the campaign period. Albayalde had earlier ordered the PROs in different regions of the country to undertake “aggressive interdiction operations” against armed criminals. The PNP intends to preempt any untoward incident that may result from the activities of private armed groups and gun-for-hire syndicates. The Regional Joint Security Coordinating Council (RJCC) has identified 24 towns in Bohol as election watchlist areas (EWAs), but Commission on Elections (Comelec) Bohol Supervisor Eddie Aba said the number may still change. Aba said the list is being updated from time to time through evaluations conducted by a body that comprises the Comelec, PNP, and the military. The RJCC makes weekly security assessments of EWAs and the rest of the province. Included in the criteria in the assessment are the history of the election-related violence and intense rivalry between camps of candidates.